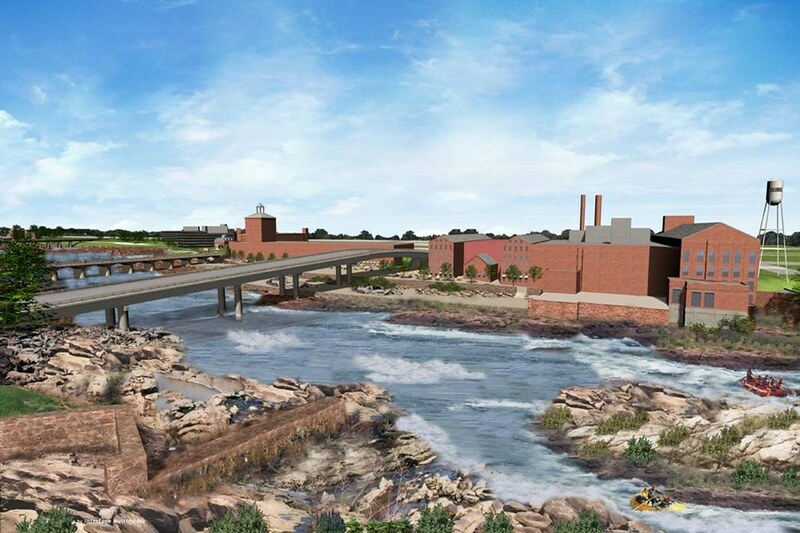 Since 1983, engineers at McLaughlin Whitewater Design Group and McLaughlin Water Engineers have designed, physically modeled and installed multi-purpose features for river stabilization projects that are both friendly to aquatic habitat and outdoor enthusiasts. “Roughened channel fish passage” mimics natural riverbeds so that fish will pass and creates a channel that, when wet or dry, looks like a natural riverbed. In addition, there is virtually no maintenance required for the life of the materials used. The final product looks great, works well and stays put: an unbeatable combination of attributes. Grade control river structures slow velocities and stabilize a river. A multi-purpose drop replaces formal looking structures with a roughened channel, augmenting natural rock with artificial rock features. The water becomes navigable by native fish and present little risk for responsible boaters and anglers. If a water diversion is included in the design, the intake screen (recent designs patent pending) can be located strategically either upstream of, or actually in the rapid. Several methods used to stabilize and make rivers look natural also improve their ability to convey flood flows. Features are strategically located across the river to promote deeper water and lower bank velocities, discouraging erosion without having to use piles of unsightly riprap. As time has passed, changing social priorities and technological advances have made the cost of maintaining dams exceed the benefits. Dam removal can help solve problems related to our country’s aging dams. Years ago, dams were often built ignoring the environmental havoc they would create, obstructing the natural trail for fish to find their food or pursue seasonal migration patterns. Many have accumulated sediment that is backing up reservoir levels and increasing the hazards associated with an accidental breach. Many owners are unable to meet the environmental requirements put into place since their construction. Others no longer need them or admit the dams never effectively addressed their stated purpose.